A bot seller is a novel function for increasing profits in businesses. If an entrepreneur wants to sell out many goods and services successfully, they can adopt surprise value from the bot. Earlier, chatbots.studio was utilized for allowing cost reduction in business level. Today we are going to discuss how a chatbot as a new sales channel can significantly impact on business incomes. It is undeniable that Chatbot in Messenger is a new sales channel for managing the interaction with old customers. It can improve loyalty to sell goods and services. The owner of small businesses is taking benefits from AI Technologies to increase their daily sales. Improve your business operations, interaction with customers, income and many other features with the help of bots. In sales and marketing business, Chatbot acts like a mediator between a consumer and brand. If you are not using a chatbot for your business you are being irresponsible. 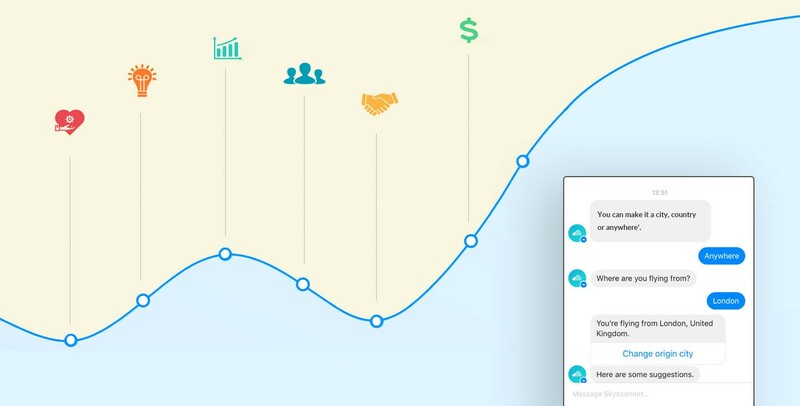 Chatbot as new sales offers companies their software to reach a new level of success. So, this is quite obvious that a lot of people are showing their interests in Chatbots. The customer’s expectations are reaching high-level and fastly growing every day. They all expect to gain more and more benefits with the launching of newer technologies. Chatbot services enable a customer for accessing reliable payment operations mode quickly. Customers can get rapid processing of orders with comfortable shopping experience by using Chatbot service as a sales channel. Today Chatbot is the most popular sales channel because it can deliver services and goods anywhere prospects get collected. Here, we have explored the best causes of customer interest in Chatbot as a sales channel. Chatbots allows customers to solve their problems more quickly. Perceiving success in the marketplace is significant. Get a personal approach through Chatbot. Additionally, Chatbot can attract customers in a more customized way. Companies with Chatbot facility never suffer from problems such as lack of significant details. Chatbot provided complete information which is most important. Chatbots are very easy to use. Clients feel comfort during communication through Chatbots because it is very convenient. Chatbot saves precious customer time. Developing a chatbot and run it accordingly is very easy. A Chatbot developer can use API as provided to build their chatbot on an essential platform. Usually, a person connects with a Chatbot either on the web or Messenger. A bot sells goods and services by taking the help of sales funnel including facebook, telegram, KIK and many more. Many time, developer make the common mistakes during the implementation of a Chatbot. A bot can work effortlessly with one or more services provided by an entrepreneur. Chatbot in Messenger is a better way to buy some goods and services without having interactions. It offers flexibility to communicate with the users. No need for conversing with a live seller agent. No need to download the chat app. A bot in Messenger is easily accessible for 24/7 time. 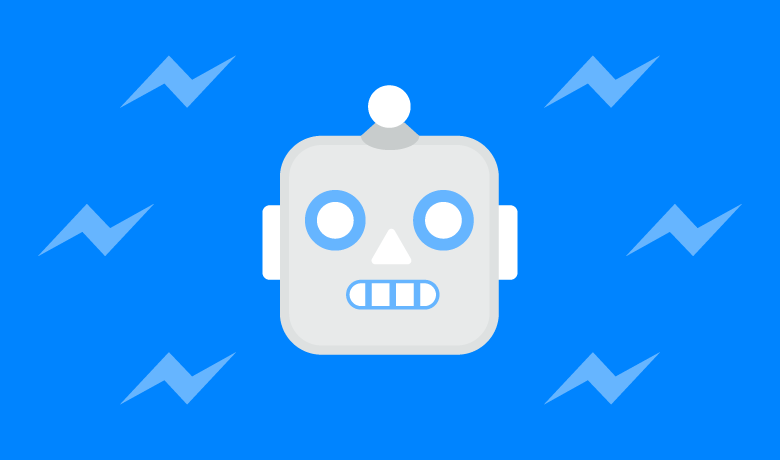 A user can open a messenger to start a chat with the bot anywhere at any time. To chat with a bot is more convenient than calling to team support or buying goods through offline mode. The bot can connect a broad range of customers through Messenger. You can see today facebook messenger has more than 1 billion users. All marketers can fill their sales channels with contents via chatbots for increasing sales. In other words, bot directly sells its goods and services in the sales channels. Sells via chatbots provides quick and easy access to services and goods. A user does not need to open an app or download it or even find in the browser get the desired products. The bot in messenger is always ready to help you. Buy and sell in one click via chatbot technology. Most of the companies focus their considerations in the payment area. For example, WeChatPay is used to transfer money. WeChat is a messaging app which is widely used to shop and book online services. Moreover, WhatsApp provides one of the best businesses driven solution to online shop retailers. It is why almost every business use messenger instead of os using more traditional services. First of all, a company needs to determine the objective to get solved via Chatbot channels. Make due diligence in terms of its excellent capabilities to achieve the target goal. For example: if a company want to develop chatbots for selling purpose (objective), a company needs to define the describe new digital sales models with its key capabilities as Management of Catalog and Order for customers, etc. Recognition of the right platform to execute the devised plan. Start communicating with the customers with full confidence. So, these are the primary consideration recommended by us to follow to go for success. Also, we have good news for the real world users that you will soon see a bot integration with WhatsApp. It is true that WhatsApp has not launched an API at the moment to construct a bot. But very soon the combination for a chatbot will be started via WhatsApp. In this era, an organization is using many messaging apps to conduct an interaction between a consumer and a seller. In this way, we may like to introduce Chatbot Boost that offers consumer experience efficiently. Chatbot conversation creates fast, personal and scalable contact to reach more customers. Marketing and Sales strategies are also a more significant part of companies to begin AI-powered Chatbots. Bots have successfully improved with the great support of artificial intelligence. Also, thanks to Natural Language Processing (NLP) for boosting chatbots such a high level. The integration of Chatbots into Social Media invites audiences for a personalized experience. It enables a customer to gather essential data about each user with whom they communicate. If a person put a question regarding customer service, Chatbot can quickly answer this question. Conversation with Chatbots provides personalized shop advice according to the purchase history of a customer. Chatbots not only gives answers to the questions of every buyer but also hold a meaningful conversation. Chatbots have excellent capability for engagement by interacting with them. At that moment, Chatbots can grab audiences attention for interaction simultaneously. Chatbots provides a more efficient way of engaging with customers. Chatbots are widely utilized on social media platforms to reach many audiences. They can get integrated into a new group of customer databases. Chatbot integration allows a bot to indulge in a new customer base for a particular brand. Customer feedback can get easily stored with the perfect opportunity as given these Chatbots. There are a lot of people who are not interested in wasting their valuable time on question-answering. Chatbot can ease the conversation by asking fundamental questions. During this ease, they also collect the feedback information from the customers. Moreover, a person can remodel their marketing strategy as per the basic need of the customer. It gives a more inbound approach to marketing strategy. No one wants to get bothered due to quantitative emails, text messages, and other notifications. A Chatbot can record and analyze the data to make relevant announcements. Personal information can also get delivered through social media. Chatbots sends quality based information to their clients. They can also convert general interaction more fun. The engaging process of Chatbots can also be hilarious. Furthermore, the number of visitors on your site can get increased via Chatbots. 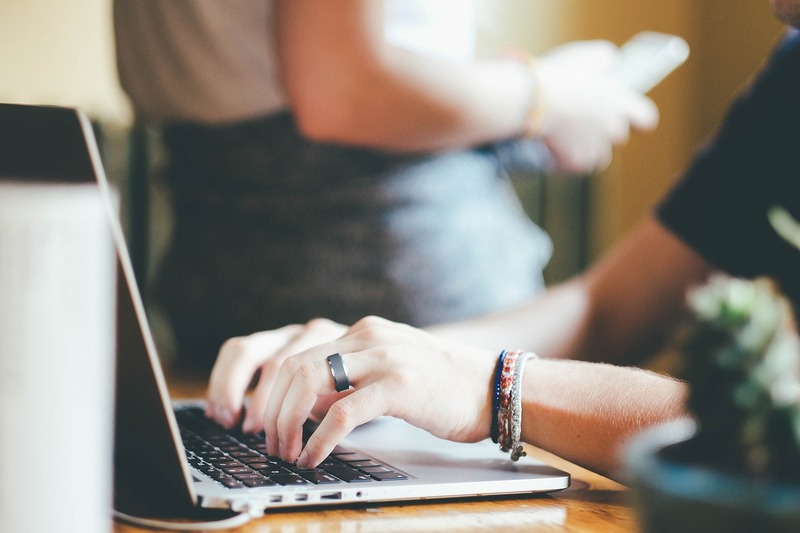 Sending messages with a relevant link to your website blog can make your content more visible. Brands often communicate with their clients only when a client first contact them. Chatbot offers an energetic way to welcome a visitor on your site or social platform by sending welcome messages. The Customer gets aware of the bot presence in this way. We want to inform you here that lead nurturing is an essential part of the marketing strategy for every company. Unfortunately, it consumes high time than Chatbots as a sales channel. 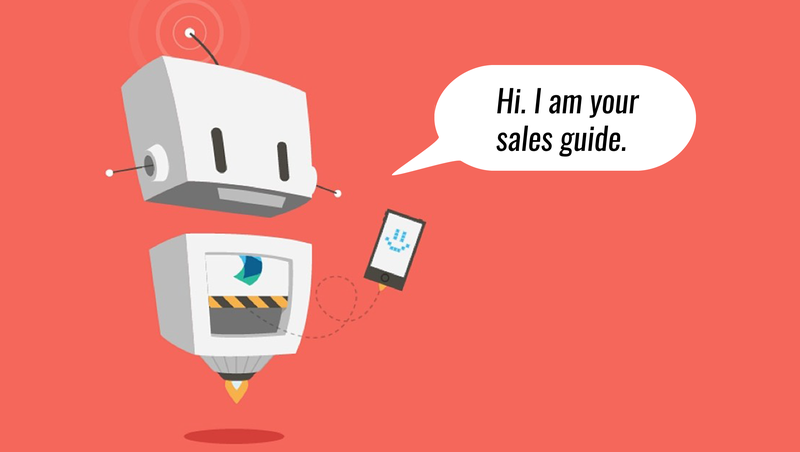 Chatbot can also guide their customers for sales procedure. To expect an answer to every question on social media platforms from the customer service team is high time consuming, costly and unrealistic. On the other hand, chatbot makes you able to remain active for 24 hours a day. Besides, chatbot also helps in saving money. Also, we can learn a lot of things about public with the effective use of Chatbot in business. By using a chatbot, you can attract new customers to earn money in social media profiles. Use an AI-Powered Chatbot meet precisely with the marketing and sales objectives. Nowadays, an e-commerce entrepreneur can make their life more comfortable with the availability of lots of products. Add some quality products to your store. Always make sure about your Chatbot to provide simple functionality. A person can fun with it by getting a simple answer or solutions. The user must get an idea of what they need to move forward. Nowadays, NLP technology comes with lots of features. A computer can understand all complex sentences with the help of NLP technology. While the basic chatbot cannot understand this ancient technology. This problem can be solved by writing simple and understandable languages and by promoting the user with respond option. The solution can handle the flow of dynamic conversation. So, the customer does not need to worry about correcting their answers. Quitting question or leave it open-ended may develop a disappointing experience for shoppers. Going a question increases the chance to guess what to say. That’s why they face incrementing problems, and the user will quit before achieving their objective. Chatbot serves a pleasure to their customer before starting chatting with a person. If anyone is annoying you then you can instantly and easily block your bot. Facebook bot makes a perfect example. It is always helping a person to begin chatting with anyone by using an app to improve customer experience. A person needs to keep in mind the primary goal of why they are making a bot. What kind of problem a user wants to resolve by building a bot. A developer should create a chatbot to solve problem one at a time. It is the essential tip for creating customer service bots. Majority of Chatbots are still designed to reply using simple commands. The one thing which you need to do with your customer changing things more comfortable and faster way instead of leaving them with an unresolved problem. It may be a perfect decision in the beginning. This new technology provides additional benefits by continuing the testing of products. It is not compulsory to make a perfect system on your first trial. But you need to pay more attention to improve your performance. A Chatbot is an artificial intelligence to interact with multiple users at the same time via text message or any other medium. Most online businesses are using Chatbot’s functions for increasing their sales. Chatbot as a sales channel has quiet benefits for online companies. Nowadays, a chat button gets attached on the side bottom corner of a website. It has become a universal thing because every site maker is using it. This button opens a chat window for the first visitor on the website. Chatbot sales channels follow a rule-based programme to respond with proactive reactions via messages. It can also improve customer relations by serving high-quality services. Better chatbots use machine learning to create personalize the user experience. The chatbot boom for e-commerce business has get returned. Better chatbot can redefine the procedure of sales and marketing. Most marketers are using Chatbots for increasing product sales. Chabot enables a user to make a customer happy, drive good business with lowering costs by using personalized chatbots. Get a digital solution by using personalized chatbots in this digital world. Chatbot rejects all the possibility of human error by driving artificial intelligence. They are self-learning. Hence they are consistent with their growing business. Chatbots are consistent regardless of any business or function. Conversation can be more simple via small pop up appeared on the bottom right corner on the screen. Chatbot conversations are more precise than other channels. A human can easily understand chatbot language respond by the machine. Chatbots are less costly than their alternatives. Chatbots, in contrast to people, are modified to pursue a few rules. Notwithstanding when clients act impolite and utilize foul language, chatbots will, in any case, treat them kindly. It ensures that you are guaranteed an abnormal state of consumer loyalty for your site guests. Likewise, chatbots are accessible every minute of every day and can rapidly react to client demands whenever. A suitable client reaction improves client administration by upgrading the availability of your items and administrations. It guarantees your clients never miss any deals. Another part of a chatbot that improves client administration is that it is proactive. Proactive client collaboration implies you can start discussions. Along these lines, you can connect with clients and address any issues before they get in touch with you. Incorporating a chatbot with your business site improves client commitment. Improving client commitment is fundamental for business sites as it holds clients. An all-around planned chatbot keeps up clients on your site by furnishing them with applicable data about your items and administrations. A chatbot likewise offers energizing data, precipitously, to enable clients to settle on educated choices. You should stay aware of the patterns to make your business remain significant. A significant level of your clients uses informing stages like FB Messenger and Wire, which support chatbots. Your site can fuse chatbots to enable clients to connect with you and make your business open to more clients. Additionally, a client can look for data concerning your items or administrations and make buys through chatbots. Artificial intelligence chatbots and AI have made securing business knowledge less demanding. Having a chatbot on your site enables you to assemble information about clients. You can examine this information and addition useful bits of wisdom. You can tell their inclinations and what they don’t care. It can enable you to advance new items and improve administration conveyance dependent on their requests. Chatbots give clients a customized involvement. They are intended to provide clients a conversational domain, a similar way they would feel speaking with a kindred human. Chatbot accumulates data about your site guests and offers them shopping data dependent on their buy history. Clients can likewise connect with chatbots and get data about the items they need to buy. Pay for the items and screen the item conveyance through the chatbot. One of the noteworthy parts of a decent site is to produce leads. You can incorporate a chatbot in your website composition to enable you to create edges. To create drives, you are required to comprehend the necessities of your planned clients and give them an enduring answer for their requirements. A chatbot additionally enables you to catch up on all guests from the time they visit your site to the time they make a buy. Amid this time, it gives clients data and answers all inquiries concerning your business. It additionally proposes to clients the items that they will discover helpful. This experience at last prompts upgraded lead age for your business. Practically all web-based life informing stages have fused chatbots. These stages appreciate broad client base help. Thus, coordinating a chatbot to your website composition implies, gaining admittance to the gatherings of people on every one of these stages. It, along these lines, gives a chance to your business to get to a more extensive market, this development in its tasks. Likewise, if you have a startup or growing organization, having a chatbot in your site advertises your business to a bigger crowd. It makes it simple for your image name to be acknowledged. Warnings are necessary, however on the off chance that you assault your clients with superfluous notice, you may cause diversions. Chatbots helps in sending customized warnings to clients depending on their requirements. A chatbot looks for data about your clients that assume an essential job in passing on the correct updates to clients concerning your business. On the off chance that you have numerous guests frequenting your site, odds are your workers will be unable to speak with every one of these clients. A chatbox can deal with this extreme interest by bantering with numerous clients all the while. For instance, if your business does conveyance, you can have a chatbox in your site where your clients can get in touch with you about your items and find quick solutions. They would then be able to arrange, pay for their requests and track conveyance. It makes your business productive notwithstanding when you have just a couple of workers to take care of numerous solicitations from the clients. Dreary work can get exhausting after some time, expanding the odds of blunders, and diminishing the profitability of specialists. Such errands can get robotized by incorporating a chatbox on your business site. Chatbots mechanize monotonous errands to guarantee they are done quicker and all the more precisely. A specific precedent is a slack bot, which can be joined in destinations to report bugs. Slack bots advise you to address flaws. The slack bots can likewise respond to inquiries regarding your business forms. It removes the exhausting errands of your representatives, abandoning them with testing assignments that make them increasingly gainful. In short, Chatbot can also get utilized for the first line of customer support. Chatbot as a sales channel can execute all interactions regarding online business. Currently, all kind of communications gets only performed by individuals. But in the future, it may be possible by chatbots. Thus, a company should not miss affording a better chatbot. There are millions or billions of people who are already using chatbot in business over this world. A customer can excite by using chatbots. As per the latest online survey, there are about 44% of consumers in the USA who are using chatbots for communication. As a leading chatbot development company, with our Chatbots, we put a vast impact on business by increasing sales. Chatbots gather information about a customer like a name, professions, social network profiles, etc. Here, chatbots are using for both purchases & marketing purpose. Chatbot can communicate just like a normal human being by reducing all human errors. It enhances customer service by providing complete information about a product.